It has been an eventful day in the field of politics today as in an unlikely turn of events – the leader of the second largest Muslim party Rishard Bathiudeen pledged his and his party’s support to common candidate Maithripala Sirisena this morning. 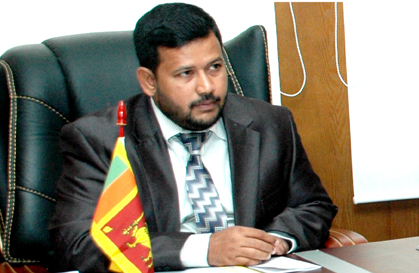 The announcement was made during a press conference held in Colombo this morning where Bathiudeen who is also the Minister of Industry and Commerce in the Rajapaksa regime stated that the decision was made on behalf of the interests of his community. He pointed out that the government’s continued affiliation with groups such as the Bodu Bala Sena that spreads anti-Muslim hatred that was made evident through its recent pledge to support MR in his candidacy for Presidency, was one of the main reasons that compelled them to leave the government. Along with Bathiudeen, MP Amir Ali who was sworn in just last week to fill in the position that became vacant following the resignation of AHM Azwer also pledged his support to Sirisena. Currently the number of crossovers to the common Opposition from the UPFA has risen to a total of 14 and today alone, over 50 pradeshiya sabha members pledged their support to the common Opposition as well. Meanwhile, former parliamentarian and Tamil United Liberation Front (TULF) V. Anandasangaree has also pledged his support to Sirisena, local media reported. « ආයෙමත් යුද්ධය ඇති වෙයිද?